If you had a stroke and survived the ordeal without permanent disability, you’d do everything in your power to get healthier and lower your risk of a repeat incidence, right? Unfortunately, while that might seem like the most rational plan, people don’t always behave rationally, and sometimes good intentions only last so long. And that’s what appears to be happening, as new research shows that stroke survivors are practicing riskier health behaviors in increasing numbers. The study, which was conducted at Los Angeles County+USC Medical Center in California, found that people who now experience a stroke may be more likely to live an overall unhealthy lifestyle than stroke survivors did 25 years ago.1 These results are based on an investigation that included 1,597 Americans who had undergone a stroke. All the subjects completed health surveys between 1988 and 2014. 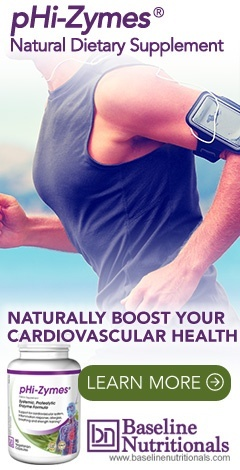 The researchers used seven criteria outlined by the American Heart Association to reduce the risk of stroke: not smoking; exercising regularly; sustaining a normal weight; managing blood pressure, cholesterol, and blood sugar levels; and consuming a nutritious diet based on fruits, vegetables, and lean sources of protein. Unfortunately, during the span of the study, stroke survivors went from bad to worse, with participants who failed to reach more than one of these goals rising from 18 percent to 34 percent over time. Broken down by individual factors, the news was hardly more encouraging. There were a few bright spots in which improvements had been made, most consistently in lowering blood pressure, cholesterol, and blood sugar levels. Hypertension levels decreased from 45 percent to 27 percent over the course of the investigation and high cholesterol rates were reduced from 37 percent to 10 percent. While each of these is potentially important, it appears that all of the areas that stroke survivors are faring better in are those in which their symptoms can be alleviated through the use of pharmaceutical medications. In other words, the volunteers have likely been taking drugs to bring each of these factors under control but doing nothing to address their underlying causes. Lifestyle factors (aka things that cannot be altered using pharmaceutical medications) did not go so well. Obesity among the subjects increased from 27 percent to 39 percent. Perhaps that’s not surprising, given the fact that those eating poor nutritional diets more than tripled from 14 percent to 51 percent, and those reporting no exercise at all in their daily lives jumped from 45 percent to 71 percent. In other words, if they can take a pill, they’re good, but if it requires any effort, forget it. When the researchers looked at adherence to the criteria by demographics, they discovered a few fluctuations. Subjects with only a high school education and no college were four times less likely to achieve success in meeting any of the stroke prevention criteria compared to their peers with some college or a completed degree. Impoverished participants had less than half the likelihood of hitting the mark as those of a higher socioeconomic status. By race, the black volunteers were less likely to adopt the recommendations as those identified as a member of other racial or ethnic groups. But no one really deserved a pat on the back, as only a single person—yes, we’re talking about just one out of 1,597—actually fulfilled every one of the seven goals. Ultimately, this study serves as a good reminder that in many ways, we are in control of our health. And although most of us thankfully have never experienced a stroke, we need to keep in mind that stroke rates have been on the rise for some time in younger populations. So, make the choice every day to eat a nutritious, low-calorie diet, keep stress and anxiety under control, and take part in physical activity to avoid many of the risk factors for stroke as well as a variety of other conditions. 1. Lin, Amy M.; et al. "Less Than Ideal: Trends in Cardiovascular Health Among US Stroke Survivors." Stroke. 7 December 2018. Accessed 9 January 2019. https://www.ahajournals.org/doi/10.1161/STROKEAHA.118.022644. What can I do for stroke related symptoms of numbness and tingling on the right side of the body?